An Itsekiri patriot, Mr. Erefoluwa Keka is in roof-top celebration over the one year anniversary celebration of the installation of Chief Ayirimi Emami as the Ologbotsere of Warri Kingdom. 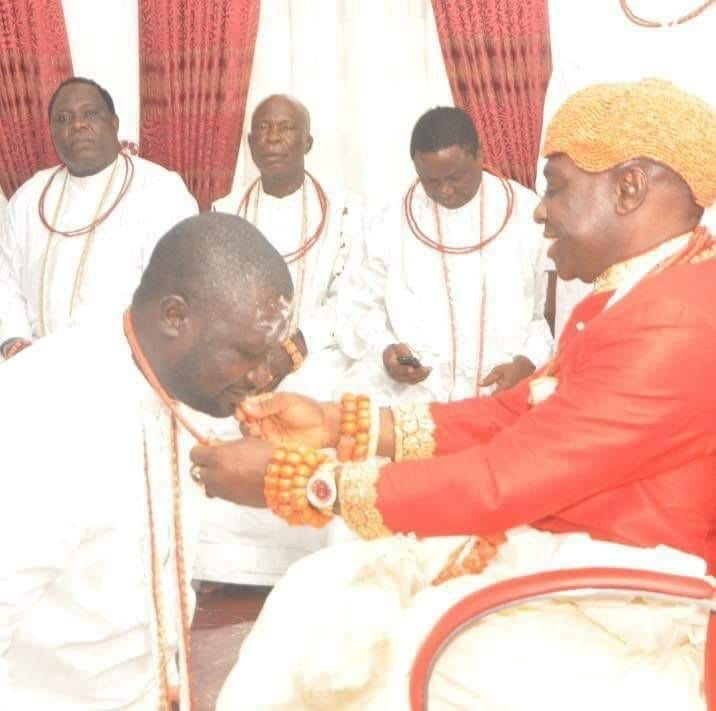 Recall that Chief Ayirimi Emami was installed as Ologbotsere (Traditional Prime Minister) October 20,2017 by the Olu of Warri, Ogiame Ikenwoli. In a goodwill message made available to newsmen Saturday October 20, Keka opined that the socio-cultural stability the installation of Chief Emami as Warri Traditional Prime Minister has brought, resulted in positives such as the ongoing dredging of Escravos Bar/ Warri River, recent federal executive council approval for award of contract for the multi million dollars Escravos Power Project, multi million dollars Escravos Power Project, promotion of Itsekiri Language/Culture amongst students/ pupils of Itsekiri extraction and other infrastructural as well as human capital developments needed in Iwere Nation. While thanking the respected Olu of Warri, Ogiame Ikenwoli, Warri Council of Chiefs and the Ologbotsere family for the"wise decision" of Emami's installation a year ago, Keka enjoined the Ologbotsere to continually build blocks of unity in Warri Kingdom.